There was a loud conversation outside the boat at 3am which awoke Jan.
Back to that bridge in yesterday’s post. 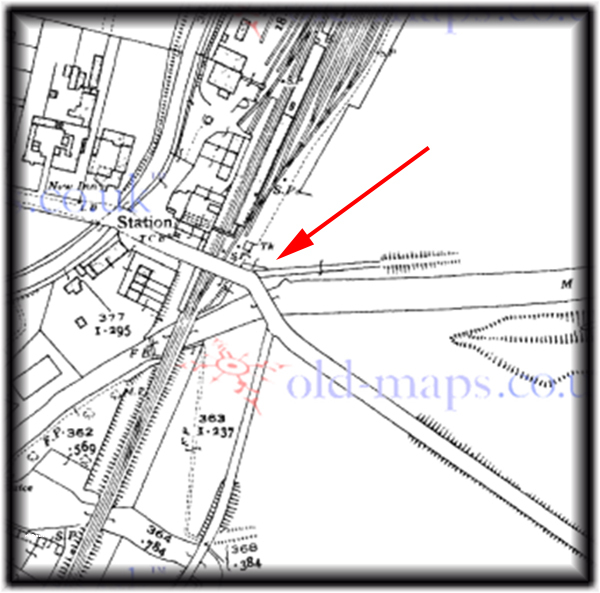 Paul Balmer (nb Waterway Routes) left a link <here> suggesting it was a road bridge. Mike Smith from nb Duxllandyn also sent me the same website link. Then reader DavidSS sent me another link <here> to an old maps repository. Using this website I was able to trace some of the map history of the location. 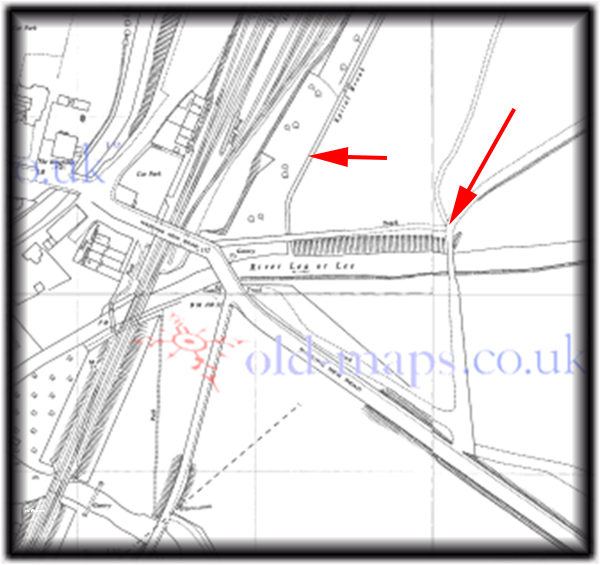 Whilst the railway line was there, the bridge didn’t exist in 1898. By 1920 the narrow bridge had been built along with the wider road to the south. I apologise for the quality of the photo. To zoom in any further required a subscription. 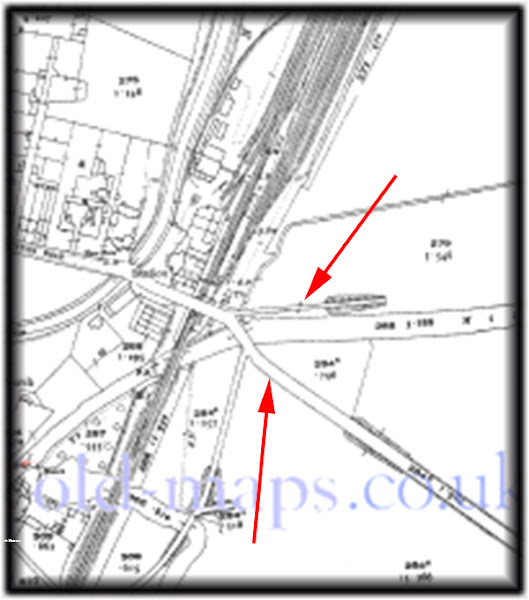 Note the ‘narrow bridge’ is linked to the main road in the above map. In 1939 the connection between the narrow bridge and the main road is shown as blocked. By 1969 there is an alternative route as shown by the arrow on the right in the following map. I believe my readers who have mentioned they think this bridge is for vehicle traffic are correct. 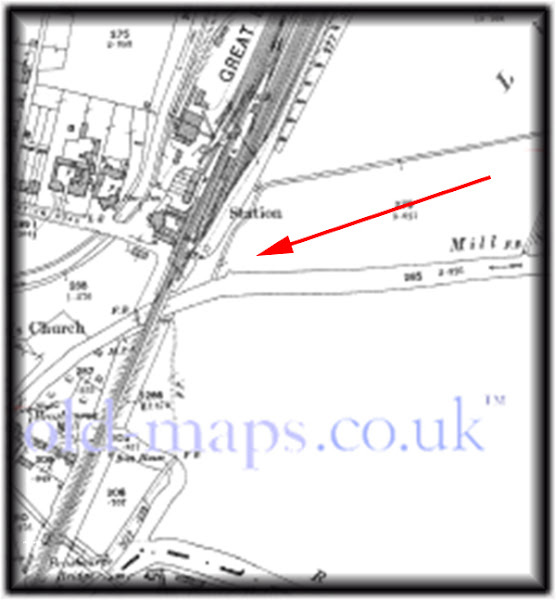 The adjacent rail line pre-dates the earliest map (1898) which was prior to the construction of the bridge. My assumption is the narrow bridge was constructed to provide access to the land east of the rail line. The land appears to be surrounded by water on the other three sides. Perhaps the land was used for gravel extraction and the gravel removed from the site via the narrow bridge. As traffic increased on the main road the junction at the end of the narrow bridge became a hazard and the alternative access road to the south was constructed. Yesterday we again saw nb Sola Gratia pass us on their way to Cheshunt Lock. We last saw the boat at Bishop’s Stortford. This time I was able to introduce myself meeting Tim, Tracey and her guide dog Oakley. 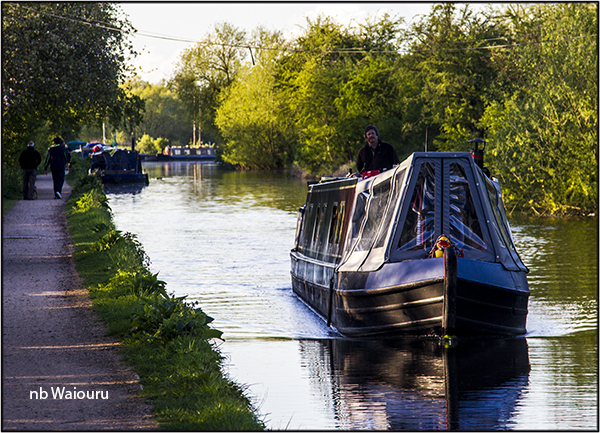 The three of them are continuously cruising and were heading to Little Venice to take part in the IWA Cavalcade this Bank Holiday Weekend. I was impressed with their three web address, include one for Oakley. Tim steers nb Sola Gratia towards Waltham Common Lock.